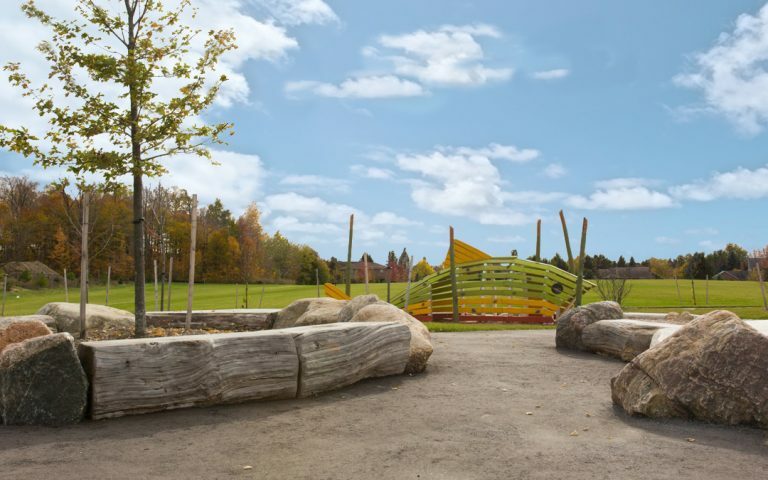 Children of all ages will find endless joy at the natural playground at Tasca Park in King City, just north of Toronto and not far from Blue Heron Park. 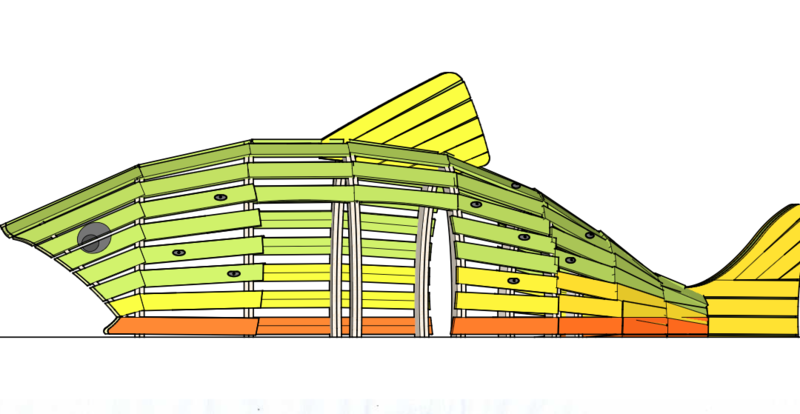 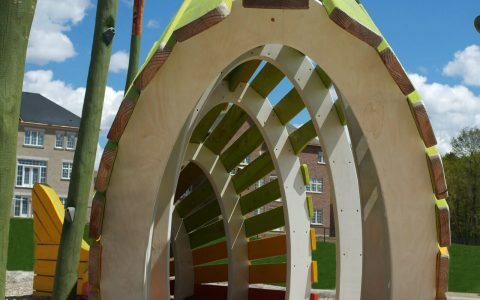 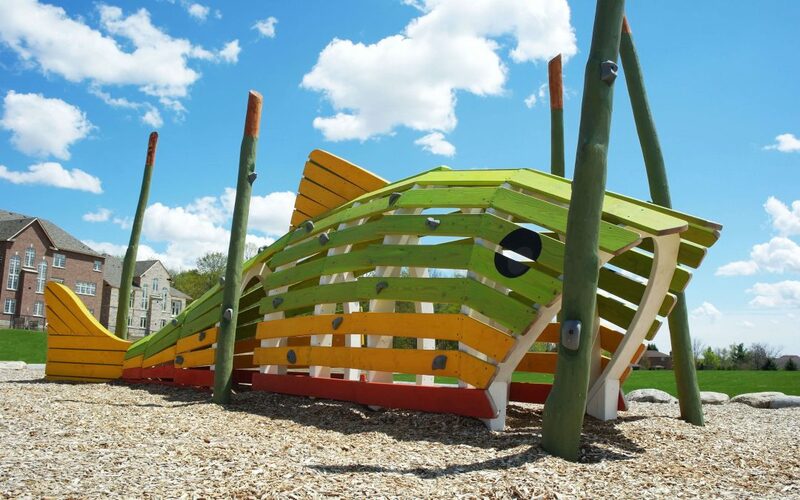 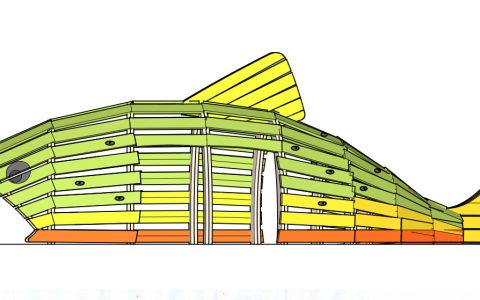 The colorful central feature is a Brook Trout custom play sculpture that invites children to climb onto its dorsal fin or scamper inside its wide open mouth. 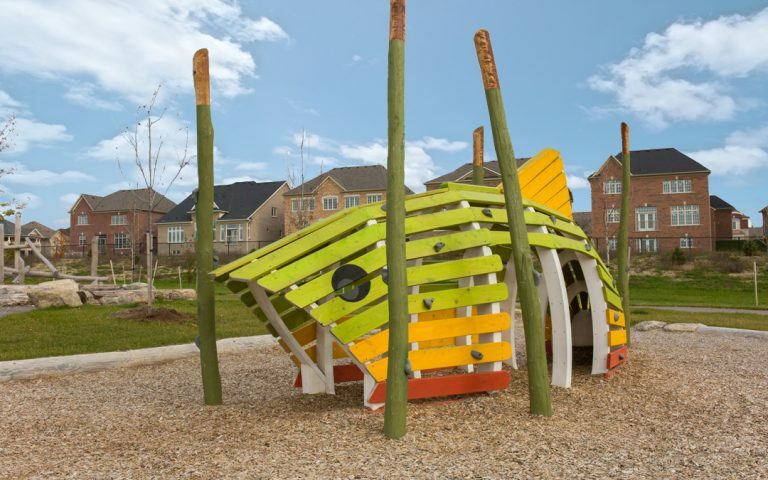 The Brook Trout was chosen because it is an important species to the King City and Oak Ridges Moraine area. 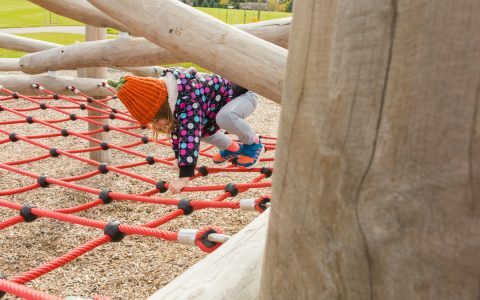 A large log jam™ is the feature that encourages the most active play, inviting children of all ages to challenge themselves by climbing and balancing on the many angled horizontal logs and connecting nets. 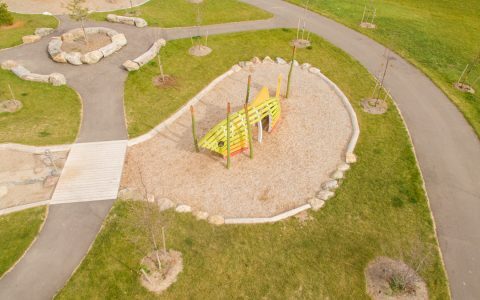 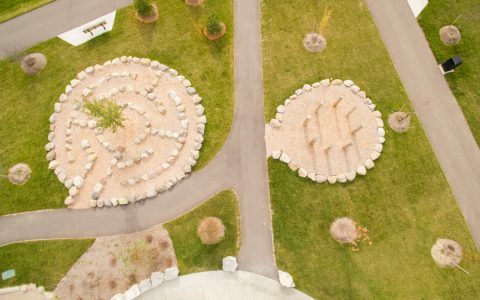 Nearby, a labyrinth provides an opportunity for kids to explore circulation patterns and weave along on the path ahead or walk among a forest of play posts. 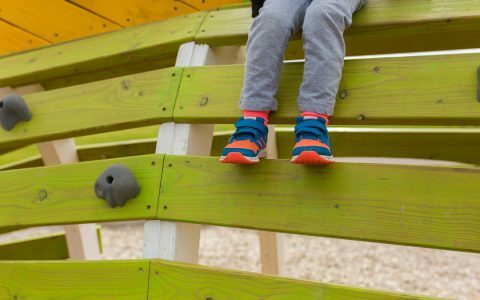 A zone for water and sand play lets kids experiment with different materials and play with natural elements. 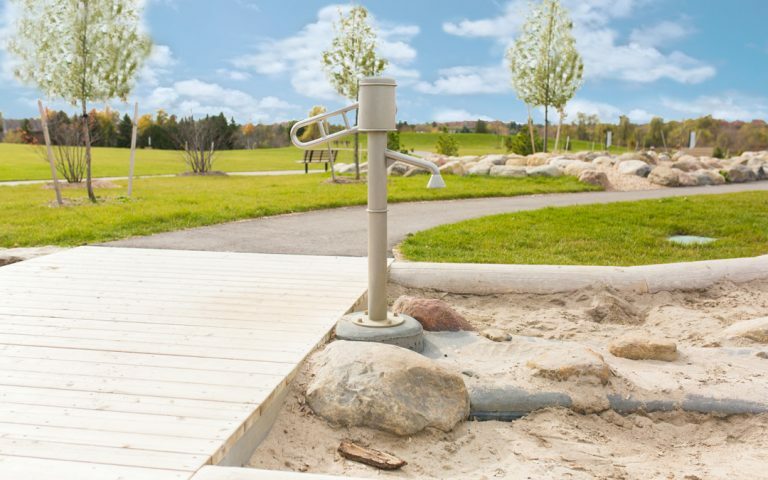 Water is accessed with a hand pump that requires children to work together to pump and collect water for sand creations. 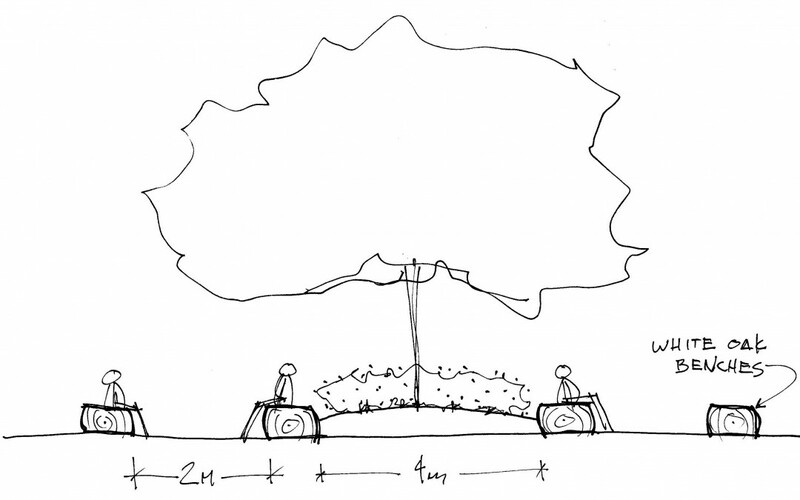 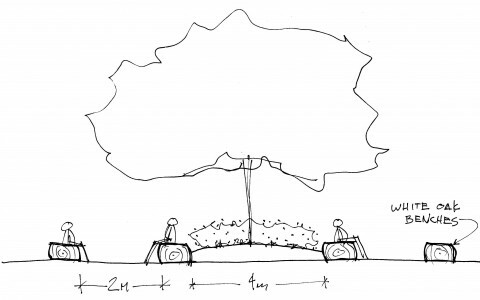 In addition to the playground features, there are multiple spaces in the park area for parents to sit and relax while watching their kids play, either near a specific feature or in the central seating area.